Loris Bellini Srl deals with, Yarn dyeing machines, horizontal and vertical package dyeing plants, energy recovery, rapid pressure, cabinet hank dyeing machines, spray dyeing machines and dye house supervising information systems. Established in 1978, STALAM is a world leader in the development, design and manufacture of radio frequency (RF) equipment for the drying and thermal processing of raw materials, intermediate and finished industrial products. The drying of textile fibers and yarns, technical textiles and related products (glass fibres, polymeric foams, non-wovens, etc.) is the best known and most widespread application of STALAM\’s radio frequency technology. Dettin S.p.A., founded and still based in Schio (Vicenza), Italy, currently occupies a total area of around 9,000 square meters; this highly specialized company in terms of the products it manufactures has developed into two major manufacturing divisions, thanks to its long experience and specialization in machining stainless steel. Lawer, which takes its name from the initials of its founder Lanaro Walter, offers a know-how of over 40 years of activity. Originally the Company was working on the production of machinery for the continuous bulking and printing (space dyeing) for textile fibers, establishing itself as the sector leader. In 1984 the fusion with another industrial reality of Novara, MECTRA, led to a size growth of the company and its further specialization in powder and liquid dispensing systems. 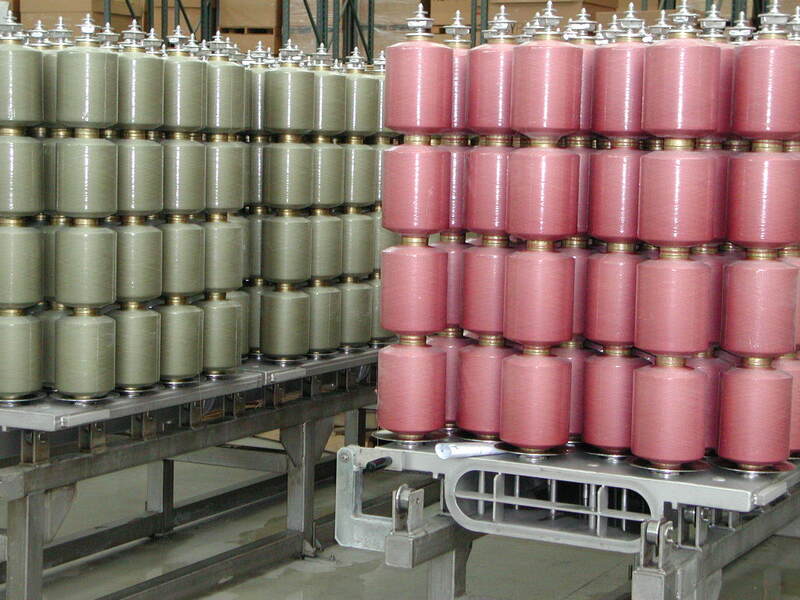 Thanks of the long experience gained in robotized dispensing systems for textile. Taining Machine Industries Co., Ltd, was founded in 1968, and specializes in various winding machines including card winders, automatic mini thread winders, balling winders and automatic high speed cross cone winders. Our service is based on commitment, professionalism, innovation and quality. This kind of commitment pushes us constantly to research & develop new products so that we can maintain our leading edge in innovative manufacturing. With a solid reputation that spans 40 years, Taining Machine Industries Co., Ltd has manufactured more than 10,000 sets of various winding machines. We are confident that our promptness, quality manufacturing & customer service will meet your high standards no matter where you are. Tmart Corghi’s success is based on concrete, reliable and mutually productive understanding between custumer and company. Tmart Corghi customers in the Textile business include small and medium size companies, industry giants and large manufacturing consortiums, all with different needs and a common goal: to maintain a leading position in the market by offering a COMPETITIVE and HIGH-QUALITY PRODUCT. In all these cases the key to success is flexibility. FLEXIBILITY means focusing on innovation, providing a wide and diversified range of technologically advanced machines for soft package winding and re-winding machines, hank to cone, reeling machines for yarn dyeing plants. Welcome to the world of The Turkish Towels, Discover the unique partnership between The Turkish Towel Company and Azim Tekstil. Encompassing a combined 50-plus years of towel know-how, this partnership marries American design, development, and marketing experience to the world-renowned skills and quality of Turkish Towel manufacturing. The result is unsurpassed style and quality in every towel that Azim produces. We emphasize new, fancy, and stylized towels, while never losing sight of the quality and sophistication that Turkish Towels embody, a philosophy which has resulted in a revolution in the realm of retail towel sales. SCLAVOS S.A. was established by Spiros Sclavos, in Athens Greece, in 1948, as a small workshop for making parts and various repair works for textile machinery. In the early 60\’s the company started making fabric dyeing machines, i.e. the first stainless steel winches. Since then, SCLAVOS has specialized in the design and manufacturing of fabric dyeing machines and developing various types of winches. In 1983 SCLAVOS designed their first low liquor dyeing machine the AIR-FLOW. This machine was a big success in the booming Greek market and since 1987 in the International market as well. APOLLON was the next development of SCLAVOS designers in 1990, with the revolutionary Twin Soft Flow patented dyeing system. That model was sold in more than 25 countries around the world. In 1995 at ITMA Milan, SCLAVOS launched a totally approach for dyeing machines, incorporated in the new model VENUS. Salvadè S.r.l. was founded in 1967 by brothers Alberto and Luigi. In the ensuing years it grew as a maintenance company for textile plant of all types and brands ranging from rameuse to printing machines, steaming plant and dryers, and gradually becoming a machine constructor itself. Thanks to the vast experience it acquired in maintenance, and fielding an extremely broad range of machinery for textile dyeing, printing and finishing, Salvadè is now one of the leading companies in the sector, at international level. Salvadè S.r.l. is one of the few companies able to provide plants with a usable working height of over 5 m.
EFFE Endustri Otomasyon A.S., has become one of Turkey’s and the World’s leading machine and machine accessories manufacturer in short time. 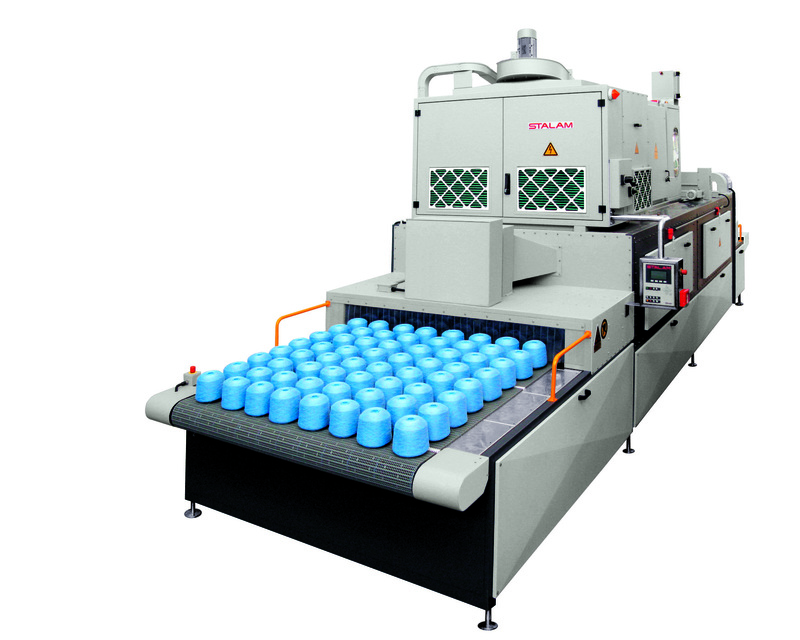 While units and equipment manufactured by EFFE can be used as individual solutions, the equipments can also be used as improvement, development and modification applications on various machines. Especially, thanks to Stenter, Drying, Compacting and Printing machine modification applications, an increase in production and quality is achieved while reducing energy costs. EFFE Endustri Otomasyon A.S. has the vision of designing, developing and manufacturing industrial machinery and equipment which has not been designed or manufactured before in Turkey or in the World that might be needed by customers and other machinery manufacturers. EFFE implements various projects to lift the machinery technology in Turkey to the highest level possible by carrying out R&D projects with machinery and equipment manufacturers in di_erent industries and end users of these machines and with contributions of various multinational companies. 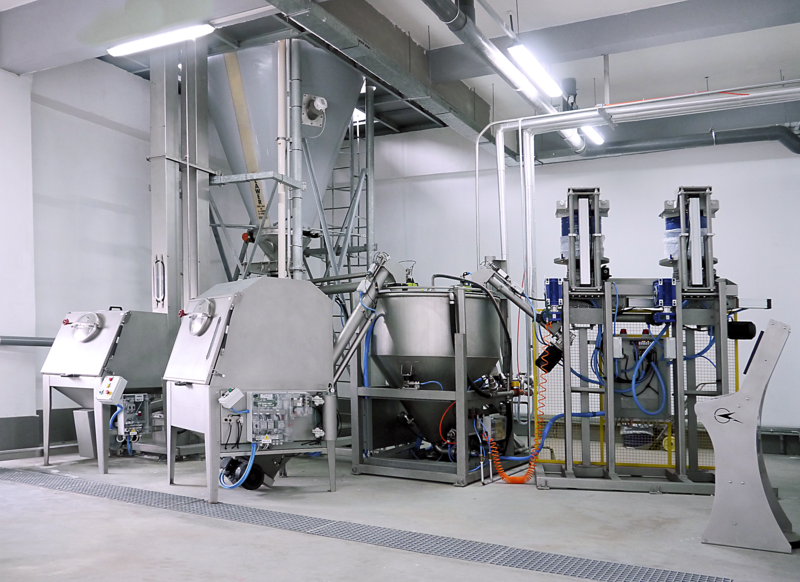 As of April 2016, EFFE Endustri Otomasyon A.S. continues its activities in its new and modern manufacturing plant with high technological investments in order to produce new R&D projects, improve the product and service quality that it provides to its customers with di_erent machine designs and a wide range of products and is on its way to become one the leaders in the market.